Maruti Suzuki India Ltd, the best-selling car manufacturer in India, recently announced the launch of ‘Suzuki Connect’, which is an advanced telematics solution that aims to enhance user experience by offering features, such as emergency alerts, vehicle tracking, driving behaviour analysis, car assistance, driving analytics and preventive maintenance calls. Suzuki Connect can be installed by NEXA customers on their Ignis, Baleno, Ciaz or S-Cross vehicles. This isn’t the first time that a mainstream car manufacturer has provided an advanced telematics solution. Honda Cars India Ltd recently came up with a similar service called ‘Honda Connect’. However, there’s a major difference between the way these two systems work. While Honda’s system works through the OBD-II port of the car, Maruti Suzuki’s system has its own module. As per MSIL, its system is really hard to tamper with. This telematics system will be fitted to the Maruti Baleno, Ciaz, S-Cross and Ignis by authorised service centers. 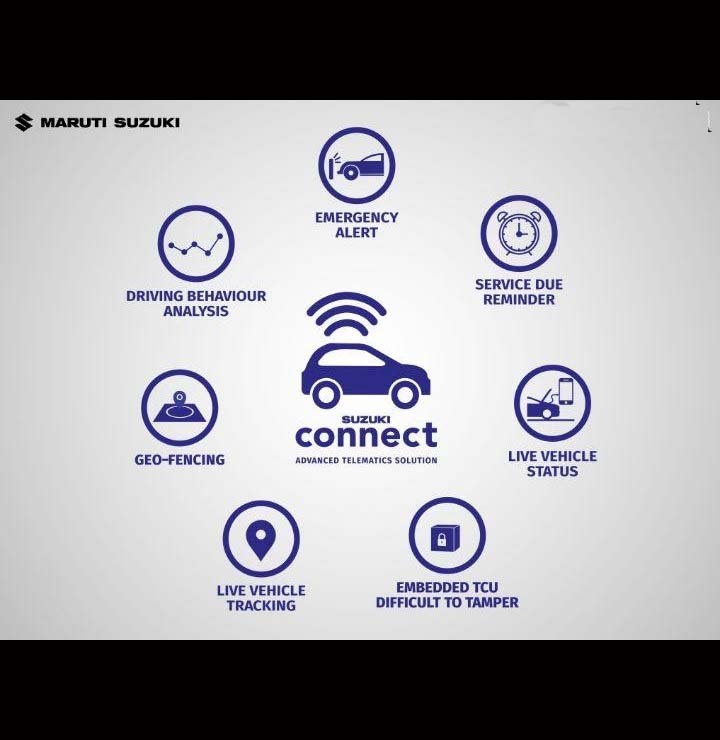 In essence, the Suzuki Connect system offers all the features that you can get from aftermarket telematics systems. The features list of this system includes live location tracking, geo-fencing, driver behaviour monitoring and emergency assistance. Suzuki Connect can transmit vital information to as many as five pre-set users in case of an emergency. The system also offers data on vehicle health by issuing ‘proactive warnings’ to the user. Like we said, Suzuki Connect is currently available only for the NEXA cars from Maruti Suzuki. However, the company is expected to soon come up with a system that’s compatible with all other Maruti Suzuki cars. The price of this system is Rs. 9,999. It comes with a three-year subscription and can be installed on any NEXA car. The new system should make the Maruti Baleno, S-Cross, Ignis and Ciaz theft-proof.